What Is Link Aggregation and Link Aggregation Switch? 1GbE network is ubiquitous at the edge of network, but it is reaching the limits as the demand for bandwidth continue to soar. Since 10 Gigabit network is still out of reach for most homes and small businesses, it is possible to upgrade to 10GbE without piling up the cost? You can surely make it by implementing link aggregation and link aggregation switch. We’re going to share some insights on deploying link aggregation with Ethernet switch. Link aggregation allows one to combine multiple network connections in parallel to increase throughput, and to provide redundancy in case one link goes down. Besides, link aggregation load balance enables the processing and communications activity to be distributed across several links in a trunk, thus not overwhelming a single link. Moreover, improvements within the link are obtained using existing hardware, so you don’t have to upgrade to higher-capacity link. To configure link aggregation, we need to apply a standard, vendor-independent link aggregation protocol that supported by IEEE 802.3ad – LACP (link aggregation control protocol). Link aggregation technology can be used for core switching equipment such as link aggregation switch. Link aggregation switch, or LACP switch, is to set up or configure switch to achieve this technology. 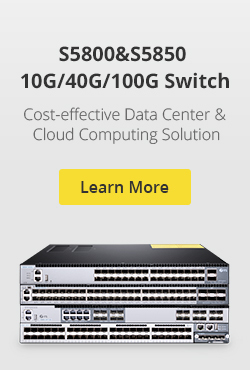 Link aggregation switch can be Gigabit Ethernet switch or 10 Gigabit switch that supported LACP. What Are the Benefits of Link Aggregation Switch? Before reaping the benefits of link aggregation switch, check to see if your devices can fulfill the following prerequisites. connect to precisely one endpoint on a switch or server. Link aggregation using multiple switches to one link-aggregated endpoint. If all the above requests are fulfilled, then you would get these benefits after setting up link aggregation. Increased reliability and availability. If one of the physical links in the link aggregation group (LAG) goes down, traffic is dynamically and transparently reassigned to one of the other physical links. Better use of physical resources. Traffic can be load-balanced across the physical links. Increased bandwidth. The aggregated physical links deliver higher bandwidth than each individual link. Cost effectiveness. A physical network upgrade can be expensive, especially if it requires new cable runs. Link aggregation increases bandwidth without requiring new equipment. How to Configure Link Aggregation Switch? Make sure that both devices support link aggregation. 1. Configure the LAG on each of the two devices. 2. Make sure that the LAG that you create on each device has the same settings for port speed, duplex mode, flow control, and MTU size (on some devices, this setting might be called jumbo frames). 3. Make sure that all ports in a LAG have the same virtual local area network (VLAN) memberships. 4. If you want to add a LAG to a VLAN, set up the LAG first and then add the LAG to the VLAN; do not add individual ports. 5. Note which ports on each device you add to the LAG, and make sure that you connect the correct ones. 6. Use Ethernet or fiber cable to connect the ports that you added to the LAG on each device. 7. Verify that the port LED for each connected port on each switch is blinking green. 8. Verify in the admin interface for each device that the link is UP. The video below illustrates the procedures to set up LACP between a Cisco switch and FS network switch. Link aggregation is the efforts made to set up parallel network structures to provide redundancy, or to improve performance, increases bandwidth and provides graceful degradation as failure occurs. Configure link aggregation switch can be made easier if you properly perform the above instructions. 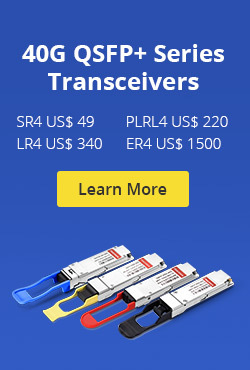 FS.COM is committed to research and develop data switch and Gigabit PoE switch solutions for SMBs, enterprise networks and data centers. For more details, feel free to contact us via sales@fs.com. Related Article: LACP vs PAGP: What’s the Difference? This entry was posted in Network Switches and tagged 10 gigabit switch, gigabit poe switch, LACP switch, link aggregation, link aggregation switch on July 13, 2018 by Aria Zhu.